Are Educators Setting Goals for Social-Emotional Learning? 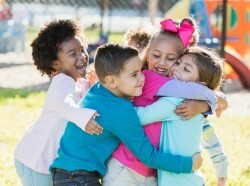 Evidence shows that social and emotional skills predict long-term life outcomes of students. Interventions that improve social and emotional learning (SEL) can also boost academic achievement. Many teachers and principals are setting goals for SEL growth in their schools, but 40 percent of them are not. The goal of social and emotional learning is to give students the skills they need to work in teams, communicate their ideas, and manage their emotions. Research can help educators determine which programs work and which ones qualify for federal funding under the Every Student Succeeds Act. 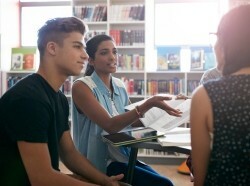 Educators have become increasingly interested in supporting students to cultivate the inter- and intra-personal skills that are developed through the process of social and emotional learning. A new guide developed at RAND is meant to help educators adopt evidenced-based interventions that fit the needs of their students and communities. A recent RAND report focuses on estimates of the impact of restorative practices on comprehensive outcome measures for all students. The report defines these measures in seven outcome domains and leads with the impact on suspensions. It estimates the impact on 50 secondary measures and on the seven primary measures for numerous student subgroups defined by race, income, special needs and English language learner status. It can be challenging for educators to incorporate data into a narrative that informs decisions about what social and emotional learning (SEL) interventions to adopt. An evidence review companion guide can provide support for educators assessing local SEL needs. This document was developed by the Assessment Work Group (AWG) and researchers from the RAND Corporation's Assessment Finder project to provide guidance on how to choose and use social and emotional learning (SEL) competency assessments. To teach something effectively, educators need to determine whether their instructional approaches are working, and make adjustments to those approaches as needed. 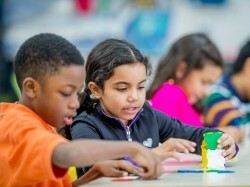 The Assessment Work Group and RAND have developed tools to assist educators in finding and using assessments to measure social and emotional learning and higher-order cognitive competencies. 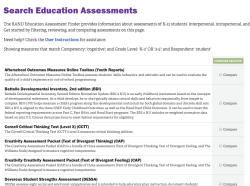 This tool is an online database with information on assessments of K-12 students' interpersonal, intrapersonal, and higher-order cognitive competencies, including associated descriptive and evaluative information. This report describes the development of an online repository of more than 200 assessments of K--12 students' interpersonal, intrapersonal, and higher-order cognitive competencies, including associated descriptive and evaluative information. This commentary summarizes themes from the JADP special issue on social and emotional assessment and offers recommendations for effective use of assessment data to promote improved social and emotional learning experiences for students. This Perspective draws on theory, learning science principles, and the limited research that exists to offer strategic guidance on the design of personalized learning models for primary and secondary education. 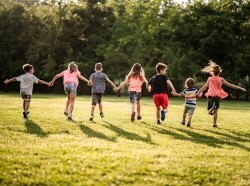 Effects associated with early childcare and middle childhood organized activities were examined in a sample of adolescents. Higher quality early childcare AND more epochs of organized activities were linked to higher academic achievement at age 15. This issue spotlights RAND's research on social and emotional learning; workforce development in Appalachia; and the effects of marijuana ads on adolescents and young adults. Will School Renovations Impact Students, Teachers, and Communities? Baltimore will renovate or replace more than two dozen public school buildings. How could these changes affect students, school staff, school conditions, and the surrounding community? This experiment found that the extent to which participants were holistic in their orientations varied according to the social context of their experimental group.